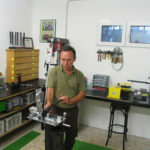 Mateo Noël is passionate about golf technique and equipment. He aims to help the golfer perform better and enjoy their time on the course more. Using his engineering background, Mateo has turned his love of golf into his profession. A firm believer in education, he has had extensive training and received many certifications for clubfitting and clubmaking. For example, he has been honored as one of the World’s Top 100 Clubfitters in 2015-2018. Mateo is also “Action-Types” certified, which enables him to understand the link between the swing and the motor preferences of a golfer and to make better equipment recommendations. 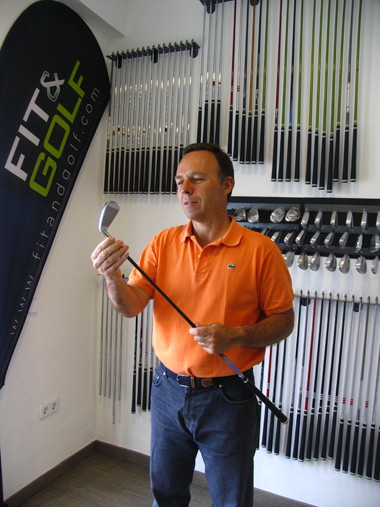 Mateo’s knowledge and skill enables him to provide the amateur or professional golfer with top quality service. His workshop and fitting studio feature state-of-the-art monitors and building equipment. 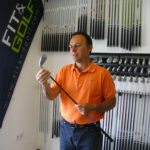 He offers a large range of shafts and clubheads in order to find the right solution to help golfers of every type and skill level improve. Mateo works by appointment only every day of the week (including the weekends). He adapts to the golfer’s schedule and is very flexible. Schedule an appointment with Mateo for a truly rewarding fitting session!